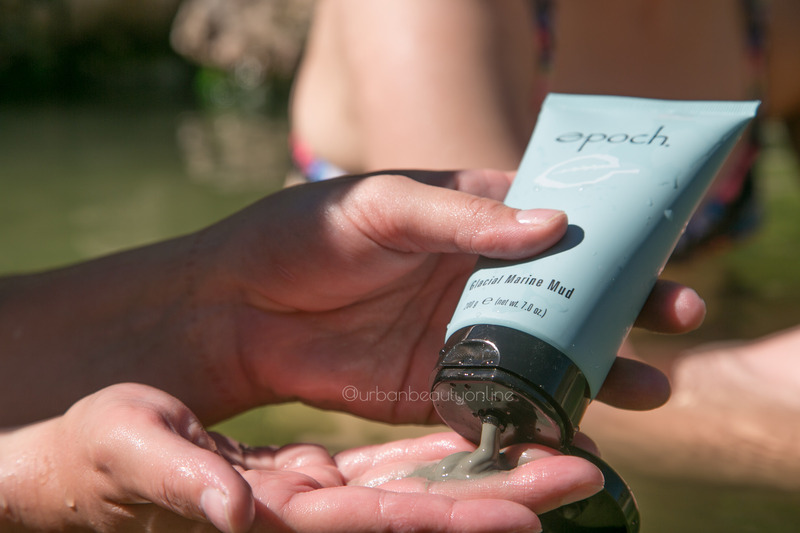 EPOCH Marine Mud Mask is traditionally used by Native Americans, this mud unclogs pores and purifies skin without robbing it of precious moisture. EPOCH Marine Mud Mask is a natural product that will leaves you feeling fresh and renew. You will love pampering your skin with this Mud. Purchase Epoch Marine Mud at Distributor wholesale /Customer retail Price below. No minimum. * Nu Skin donates $0.25 from every Epoch product sale to the Nu Skin Force for Good Foundation. This skin renewing estuary treasure helps exfoliate dead skin cells, remove skin contaminants, and rejuvenate damaged or troubled skin. Continuously enriched by the ocean, this unique glacial mud nurtures your skin with more than 50 beneficial minerals and trace elements, including zinc and sea botanicals. Apply a generous layer of mud on your face/body, avoiding mouth and eye areas. Let mud dry until it turns a light aquamarine color. Rinse thoroughly with warm water. Use two to three times a week. Magnesium—a necessary component of the skin's natural energy cycle. I was really skeptic at first, i dont typically use things from any mlm company but i heard good things all the time. This stuff keeps my pores clear from solution and keeps my skin soft. The color is a bit alarming on your face but it’s worth it. Very easy to apply. Dries in about 20 mins. I applied it to my face, neck and back. The cost is good compare to other products. The only thing is when i apply on my face, i could feel it burning and left my face sunburned looking. Thanks for your feedback Frances! 🙂 It’s normal if your face tingles and becomes red after use. This means that the mask has done its job by cleansing all of the muck out and bringing the blood to the surface! I use this mask once a week to clean impurities out. I love that it is all natural and that it provides a cooling sensation. One bottle lasts me several months. This is great mask for anyone with sensitive skin. I also like that it tightens my pores. The cap sometimes is hard to close but if you push on it right in the middle it works! Love this product! Amazing acne mud mask! Definately one of my fav!! not dissapointed at all. It doesn’t smell the greatest but it feels great on my skin and leaves my skin soft. This has been added to my weekly skincare-routine. I would definately recommend, it’s a must try! Always shake before using as the natural water will be all runny in your hand! Thanks for your feedback Debera! Love love love this mask!! I have a combination of oily and sensitive skin.. I’ve been using this for 1 yrs already! This is the best mask I’ve ever use. This made my skin soft, balance and nourish my skin. It pulls out dirt and excess oil in the skin. Sometimes if i have zit i put it on the zit and leave it overnight and its gone in the morning! It’s really gently for my sensitive skin. Thanks for your feedback and glad to hear you like this product Trina! I LOVE THIS STUFF!!!!! Use it 3 times a week as directed, and it does the most amazing job of cleaning my pores and making my skin look amazing. It can get a little runny when it’s been in a position for a while so give it a good shake before use and make sure you click the cap back into place. I have really sensitive skin and it works great and no reaction at all!! Apply it to dry skin.